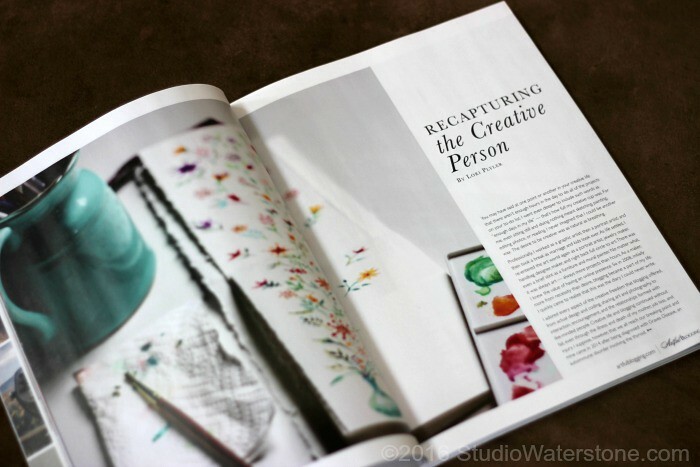 Last year, the folks over at Artful Blogging Magazine contacted me about writing an article and as a regular reader for many years, I was truly honored for such an invite! It was decided that I would talk a little about my recent illness and how I worked to find creativity during a difficult period. I think that any creative dealing with chronic illness would understand the difficulty in summoning not only energy but inspiration as well. 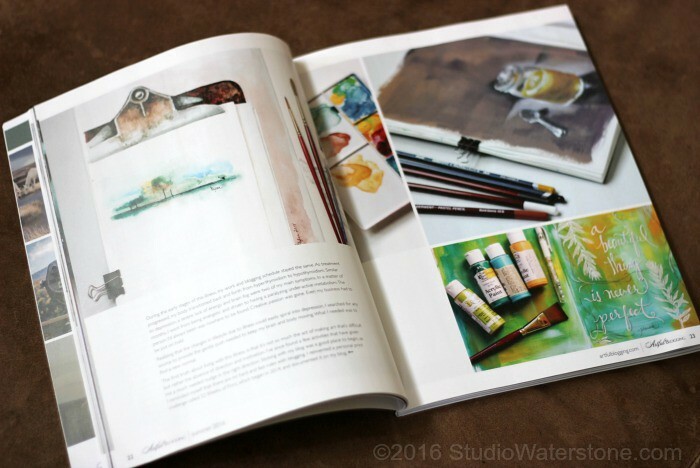 In the article, I discussed how I like to keep my most used art supplies close at hand to provide a gentle nudge. 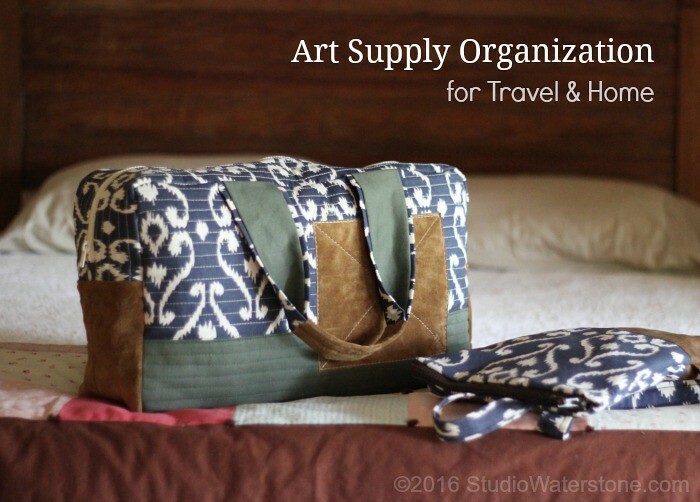 Later this week, I'll go into more detail to show you just how I've fought and tamed the great art supply beast. Yes, I reduced it to this reasonably sized duffle. :) Stay tuned and, hopefully, you'll pick up a few ideas yourself! 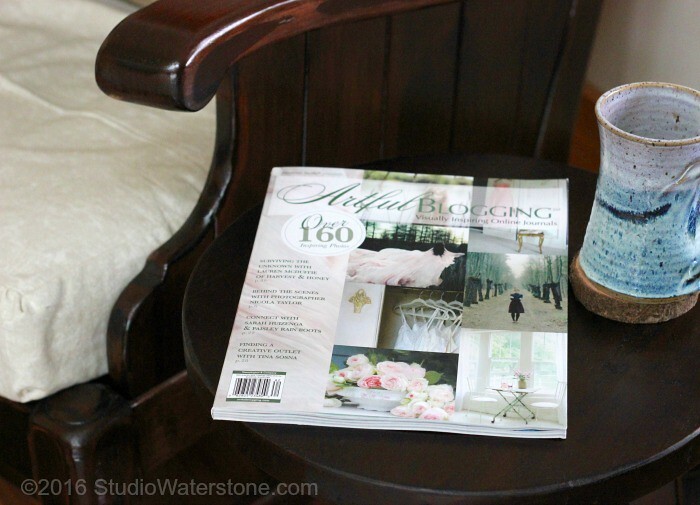 For more details about Artful Blogging Magazine and to find out where you can pick up a copy, visit their site here.